I used to get my safety glasses at the discount stores. They scratched easily, the frames were too bulky and they were uncomfortable on my head. These are a dream to wear. Very light frame, scratch resistant lens, Excellent optics. Now I actually look forward to putting them on. Plus they look great. I wish I'd brought these a long time ago. The bolle glasses are good quality and perfect fit although their is one small problem, at work we use this specific spray to clean your glasses and when I clean the Bolle glasses all the dirt stays on them and they look really dirty & foggy. BOLLE Safety Glasses - lens clarity fantastic! 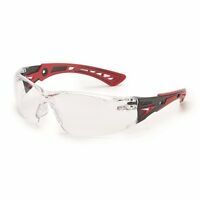 These safety glasses are a great value and quality Fit perfect and the lens clarity is superb. 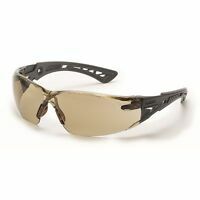 If you don't want dark lenses this is the perfect safety glass!